Former British Prime Minister Tony Blair talks about his Africa Governance Initiative which aims to improve governance in Africa. He talks about his views on leadership and governance in Africa, and more broadly about UK attitudes to development, the role of the UK Department for International Development, liberal interventionism, and his own future. Running time 33 minutes; size 21.1 Mb. Driving back from Sydney and tuned in for this cracking episode of Development Drums. Owen asks some supperb questions and gets some fascinating insights into how Tony Blair thinks about international development. A fascinating episode — and special thanks for putting to Tony Blair a question that I had suggested (and which prompted a very interesting and fairly provocative reply). The sound quality, by the way, is outstanding. 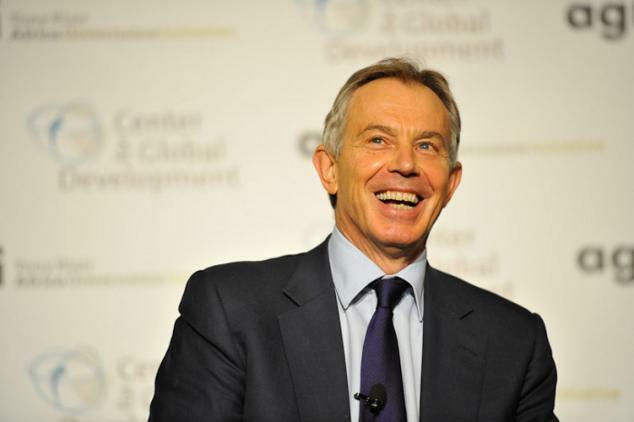 Tony Blair is inspirational in what he is currently doing in Africa delivering practical support to governments which are determined to work for their people. But is it any co-incidence that the three governments – Rwanda, Sierra Leone, Liberia – currently being supported have probably moved forward more than any other nations in Africa in the last 10 years in laying foundations for economic and social development . That means Tony Blair and AGI are also helping to accentuate the positive which will hopefully rub-off on others in the near future.